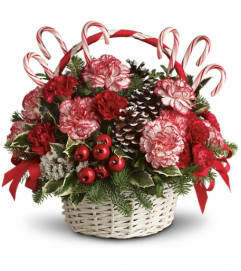 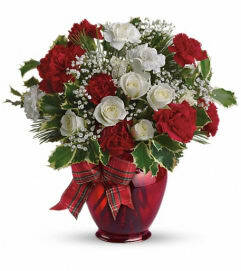 When you want to send a bouquet that's full of elegant Christmas cheer, this is a splendid choice. The holiday colors and the mix of soft satiny textures with natural, foresty touches are simply exquisite. 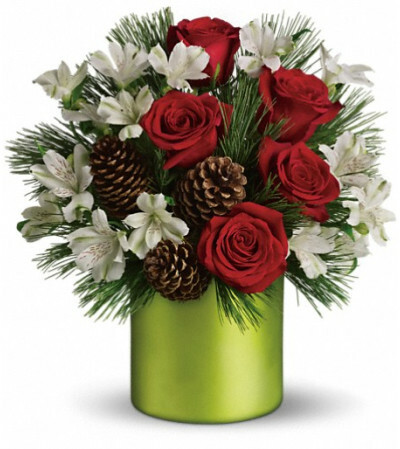 Bright red roses and white alstroemeria are arranged with white pine branches and real pinecones in a green satin cylinder. 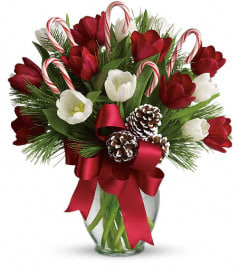 It's a beautiful way to send a cheerful holiday message.